PRICE INCLUDED FULL BOARD MEAL, Nestled in the heart of South Male Atoll, Fun Island Resort is an ideal spot from which to discover Maldives Islands. From here, guests can enjoy easy access to all that the lively city has to offer. Visitors to the hotel can take pleasure in touring the city’s top attractions: Last Stops, Guraidhoo Kandu South, Cocoa Thila Dive Site. At Fun Island Resort, every effort is made to make guests feel comfortable. To do so, the hotel provides the best in services and amenities. For the comfort and convenience of guests, the hotel offers Wi-Fi in public areas, room service, airport transfer, family room, restaurant. Fun Island Resort is home to 59 bedrooms. 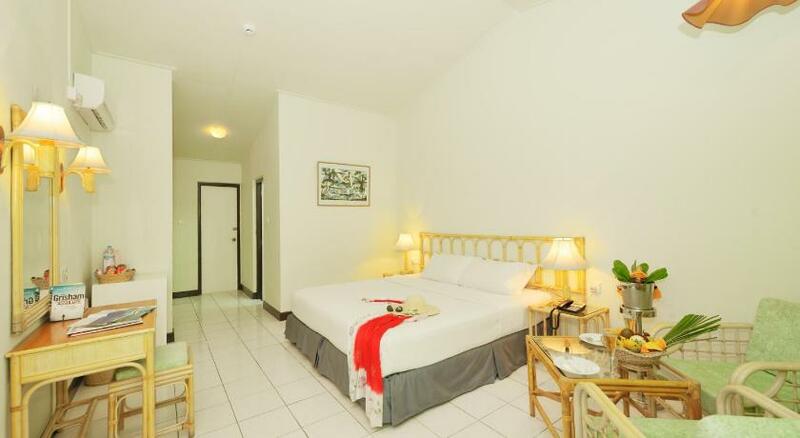 All are tastefully furnished and many even provide such comforts as television LCD/plasma screen, non smoking rooms, air conditioning, wake-up service, desk. The hotel offers fantastic facilities, including fitness center, spa, massage, garden, water sports (motorized), to help you unwind after an action-packed day in the city. Discover an engaging blend of professional service and a wide array of features at Fun Island Resort. Room offers a private terrace that overlooks the Indian Ocean.